President Tsai Ing-wen spoke at the inauguration ceremony at Kaohsiung's Zuoying Military Harbor. She said, "Through the navy’s inauguration ceremony for the Mingchuan and Fengjia frigates, we, the people of Taiwan, are once again sending a firm message to the world and global society. We are saying that we will guard the Republic of China, Taiwan and protect our free and democratic way of life. We will not yield one step." She also gave the navy three noes. "I also have Three Noes for the national military: Do not forget your mission to protect Taiwan, do not give up on pursuing regional peace and stability and do not forget the threats from outside our borders," she said. 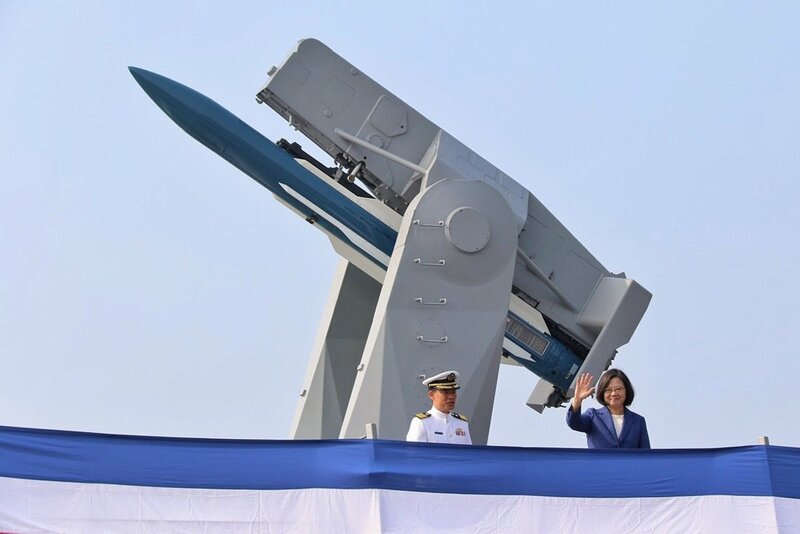 President Tsai also reminded the navy that China is using the Internet, social media, fake news and many other ways to attack Taiwan’s government and industries. This is a challenge to national security. President Tsai said that strengthening the nation is the best way to protect the nation.